There are many social networks out there which allow you to connect with others and post images and videos. But Inspired is different. 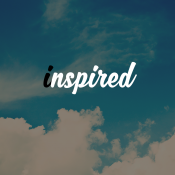 Inspired allows you to create dreams and help others create theirs - You will be able to be 'Inspired' or 'Inspire' Whether it's cooking, singing, dancing or anything. The more you inspire, the more you rise. The main goal is to inspire as many people as possible! You will have a profile where you can post photos, videos etc - People will then be able to click 'Inspire' or your post [Lets put 'Inspire' as the 'Like' on facebook] People will also be able to request a private message from you to talk more about why they're inspired and how they can follow their inspirations. They will also be able to publicly comment! Inspired will also have a ranking system - Your position will be determined on how many people you inspire. This adds into the fun of inspiring others. It will also have NO friends or followers. This will allow everyone to inspire everyone - If you wish, you can set a user as a favorite so you always see their posts on your home screen. Inspired people and be inspired. I really like this idea. I have a few integration ideas and uses.